Eugen Prusu was only 16 years old when he took apart an old car, mounted a circular sawblade on the shaft, and began sawing wood with his own homemade sawmill. Recalling the memory, he chuckles and shares, “Yes, I started in the timber profession quite early.” By the time he was twenty-two, he had started an official company called EUROCART, producing wood. 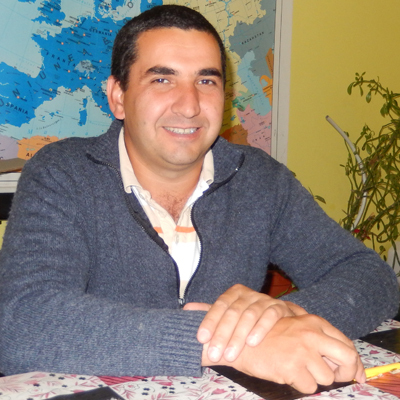 Twelve years later, he is a well-respected businessman and owner of a large sawmill company in Turghes, Romania. 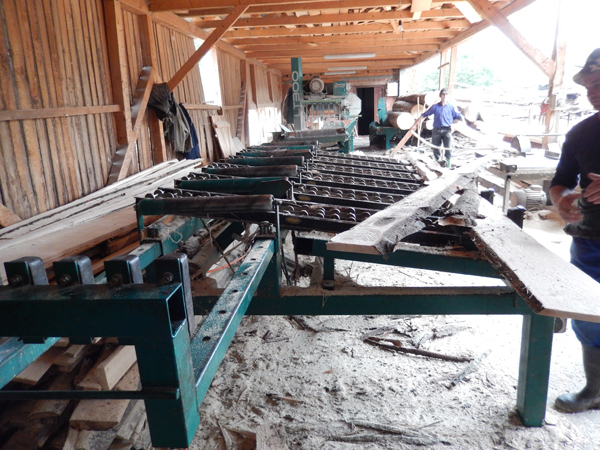 In 2002, Eugen started the business using a small local sawmill. By paying special attention to the quality of his timber output, he soon landed very good contracts, including a very big contract to export timber to the Middle East, which continues to this day. After several years, Eugen was ready to invest in equipment that would help him increase his production levels. 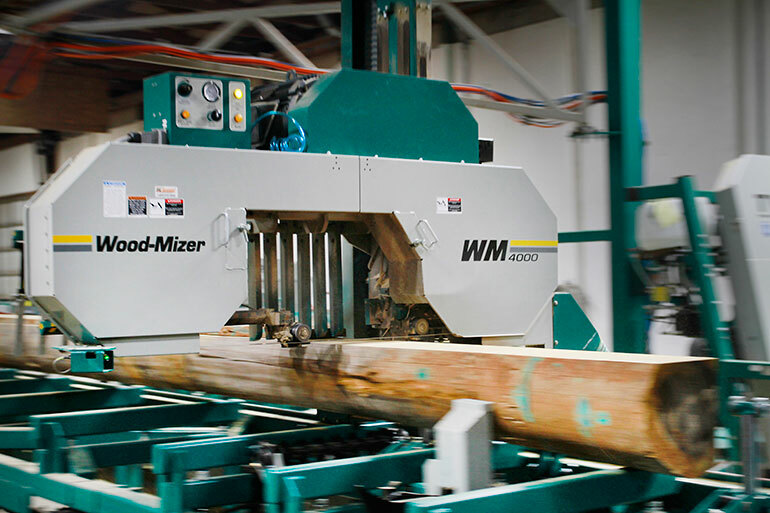 After examining what the sawmilling market had to offer, he decided to install Wood-Mizer’s new (at the time) LT300 thin-kerf sawmill. •	The Operator Station. In a comfortable raised seat, the operator has a clear view of the sawing process, as well as the whole sawmilling processing line. 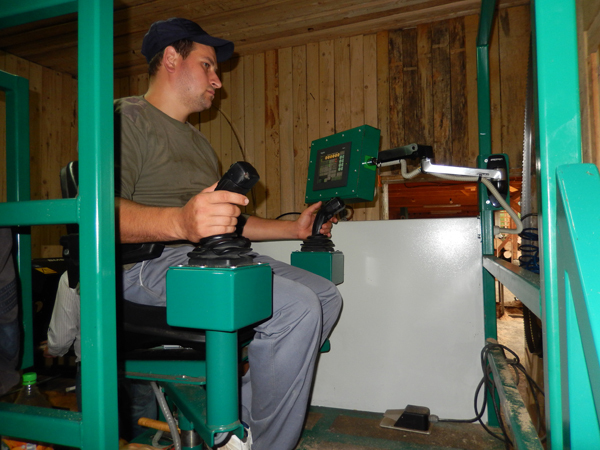 Easy to use joysticks along with computer controls allows one operator to control all sawmill functions. •	Log loading deck. 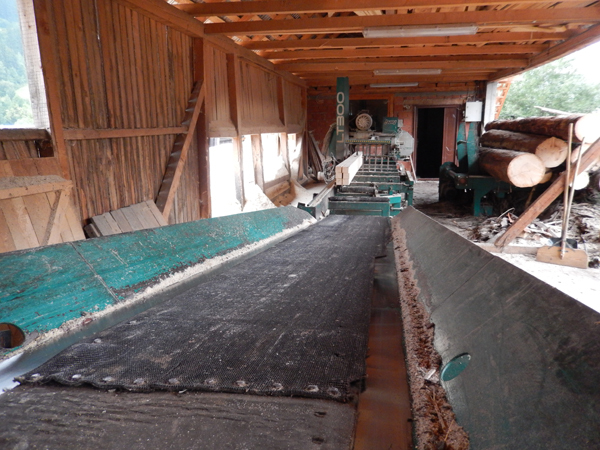 Logs are advanced onto the sawmill by a heavy duty log loading deck, which is controlled from the operator’s station. •	The Sawmill. Hydraulic sawmill functions make log positioning fast and precise. Computer setworks enables the operator to focus on speed and quality, while the computer does the work of setting the head height for each cut. A debarker clears a clean path in front of the blade to extend blade life. Each board is automatically removed from the sawmill. •	Material handling equipment. An inclined conveyor moves cut boards towards a three-way conveyor, that allows the operator to sort timber in three directions - finished boards go straight, boards that require edging go left, and slabs go right. Adding the LT300 system, EUROCART made a giant leap forward in efficiency and production capability. Eugen laughs and says there is no comparison between the LT300 and the previous sawmill he had been using. 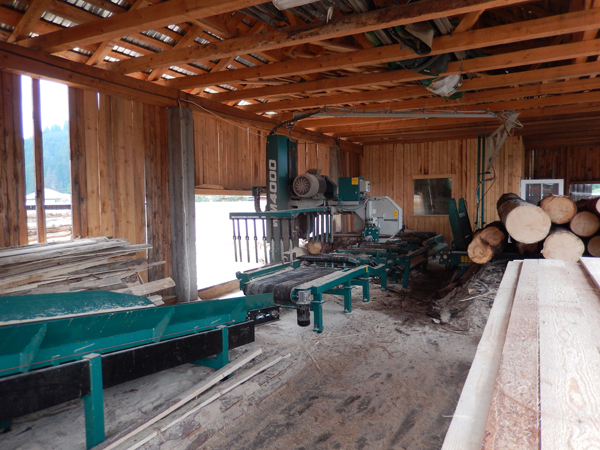 After several years of continued growth with reliance on the LT300 sawmill, Eugen began thinking about expanding his sawmill capabilities again. In November of 2013, Eugen called Wood-Mizer to find out what they had available. He was informed about the new WM4000 sawmill that had just arrived on the market. •	The bed. Featuring 50% more steel in the bed frame, the WM4000 is more durable and stable as a result. •	The cutting head. A new servo motor controls the vertical head height, and increase the up/down speed and positioning precision. Larger blade guide rollers provide even more stability to the blade during the cut. •	Computer setworks. The WM4000 features a 19cm touch-screen which display board and cant sizes, current head height, feed position, and blade power. The hydraulic speed is adjusted proportionally to the operator’s pressure applied to the joysticks during use. They can be configured to save two different sawyers’ personal joystick preferences. The control system also featured with a foot pedal. •	AutoCut software. This computer program remembers the location of the start and end of the log. Instead of the sawyer overshooting either end of the log, the sawhead knows how far to cut, and where to return to, and as a result spends more time sawing. In this case, the operator makes a first cut and then simply presses down the foot pedal while the machine is making cuts at maximum speed, greatly increasing productivity of the sawmill. •	Built-in conveyor. Mounted at the end of the sawmill, this horizontal belt conveyor automatically engages when a board is being removed from the sawmill, and then shuts off to save power. •	The pantograph system. All cables of remote controls are moving above the sawmill with the pantograph arm. As a result, cables are not covered with sawdust and debris. When the WM4000 was installed at EUROCART, it was the very first of this model in Romania. Although there was initially a problem at the beginning, Wood-Mizer’s service technicians quickly repaired the problem, caused by a cable damaged during transport. With the changes and improvements to the control system of the WM4000, EUROCART’s operators spent some time learning the new functions before they achieved maximum performance. Eugen says it was about one month before they were fully acclimated to the new sawmill. The company operates in one 8 hour shift and processes softwoods primarily – pine, spruce and fir. The LT300 is operated alongside the newer WM4000, and between the two, 45 cubic metres of logs are processed daily. Eugen hired five additional people to take full advantage of the increase in production. “The LT300 and WM4000 cutting speed is approximately the same,” shares Eugen. “However the hydraulics and head movement are much faster on the WM4000.” Both sawmills use Wood-Mizer’s SilverTip and DoubleHard blades in a 10/30 tooth profile. Replacing blades only takes a couple minutes. Eugen sharpens all his own blades at EUROCART, and on a daily basis 16-20 blades are sharpened using Wood-Mizer’sBMS250 automatic blade sharpener with CBN grinding wheel technology. Wood-Mizer’s BMT250 sets teeth to ensure quality cutting.